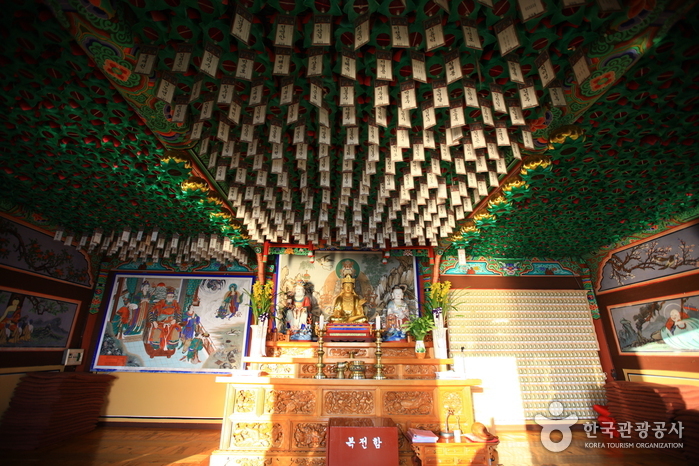 Hyangiram (Cultural Property Material No. 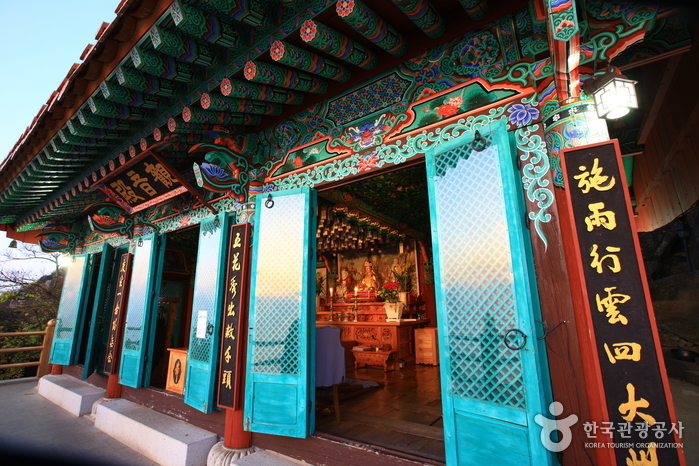 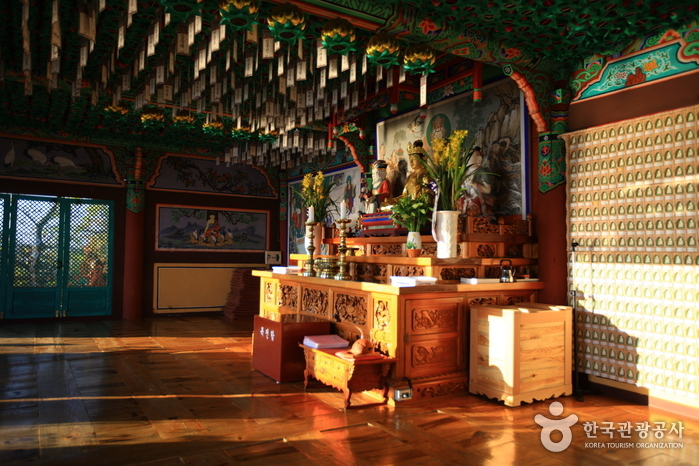 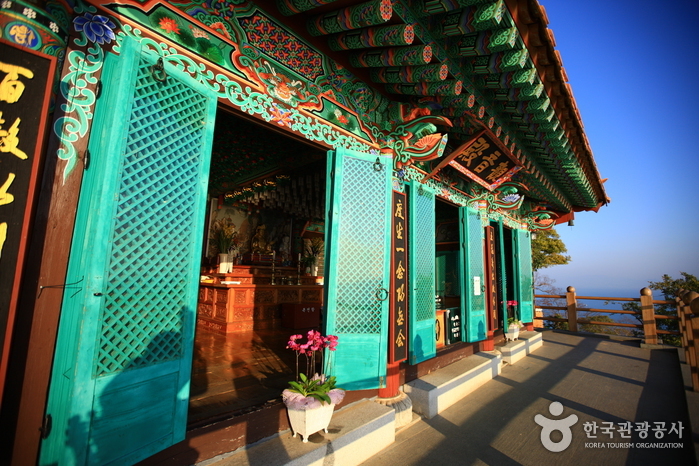 40) is one of four Buddhist hermitages in Korea where the faithful come to pray. 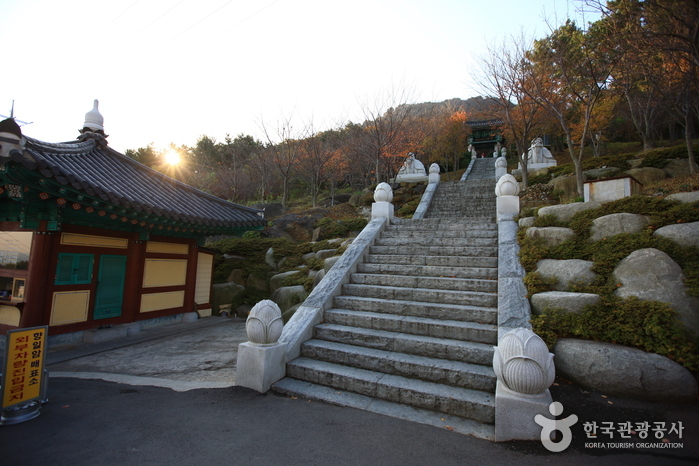 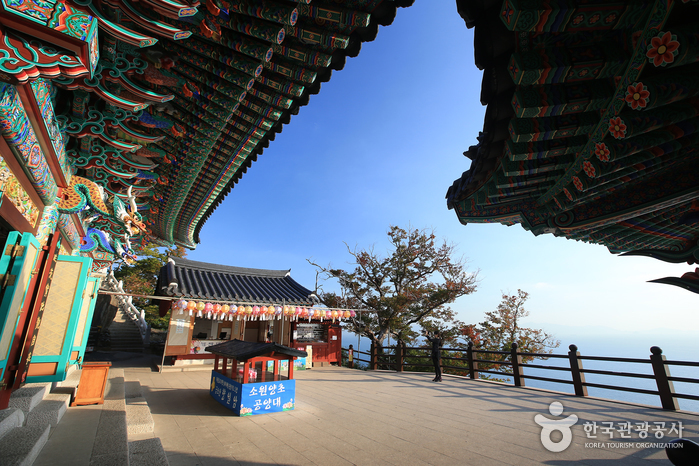 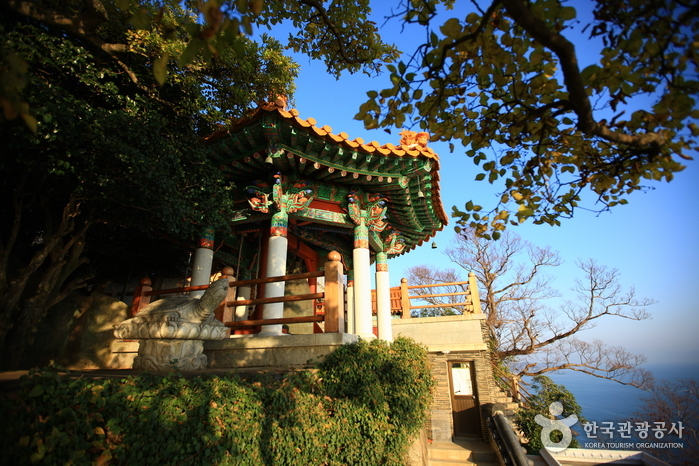 It was originally named Wontongam, established by monk Wonhyo during the fourth year of Baekje King Uija’s reign (644). 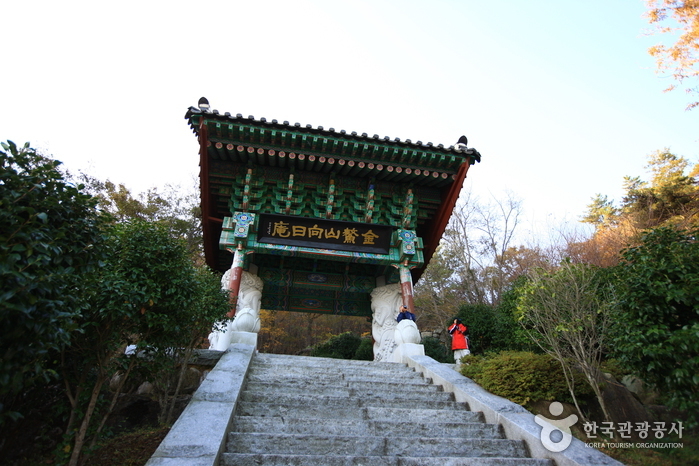 Wontongam as renamed to Geumoam by monk Yunpil in the 9th year of Goryeo King Gwangjong’s reign (958), then renamed once again to Hyangiram named by monk Inmuk during the 41st year of Joseon King Sukjong’s reign (1715). 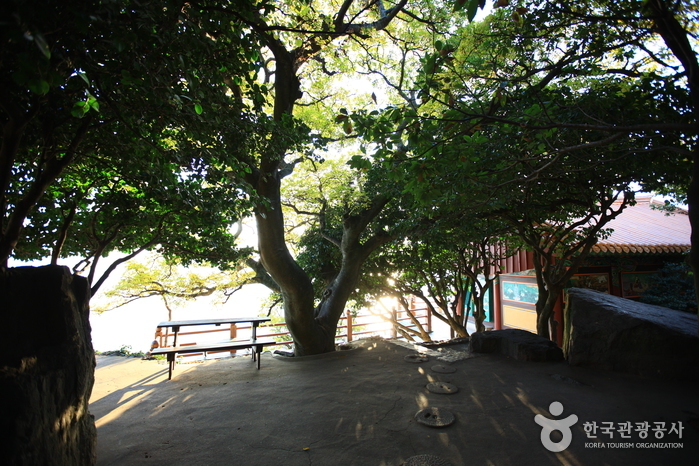 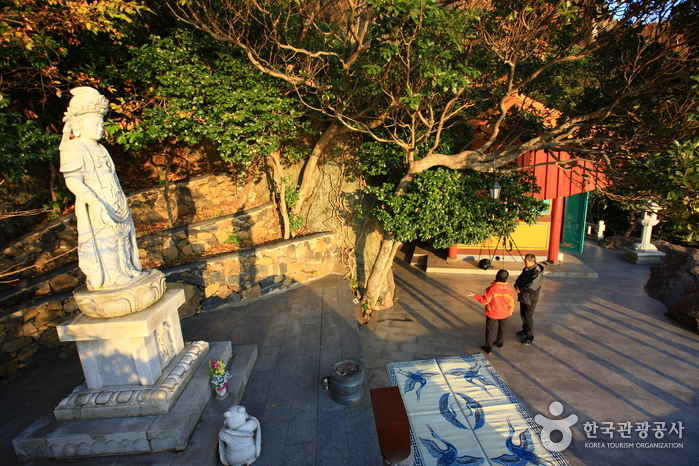 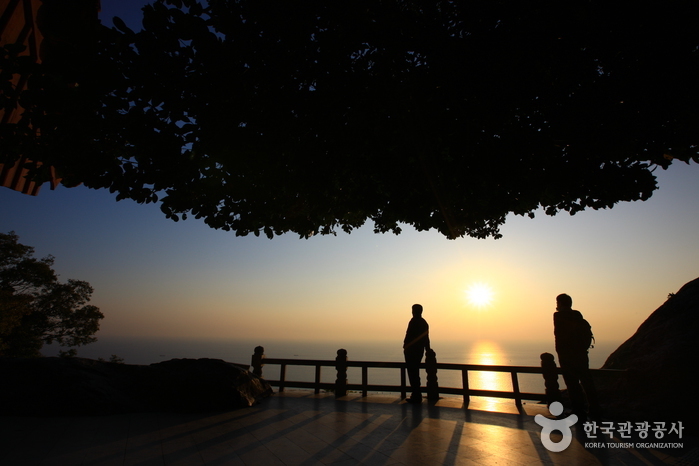 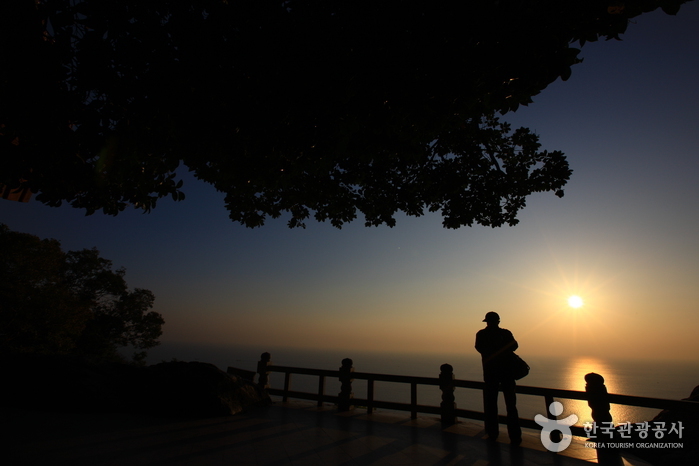 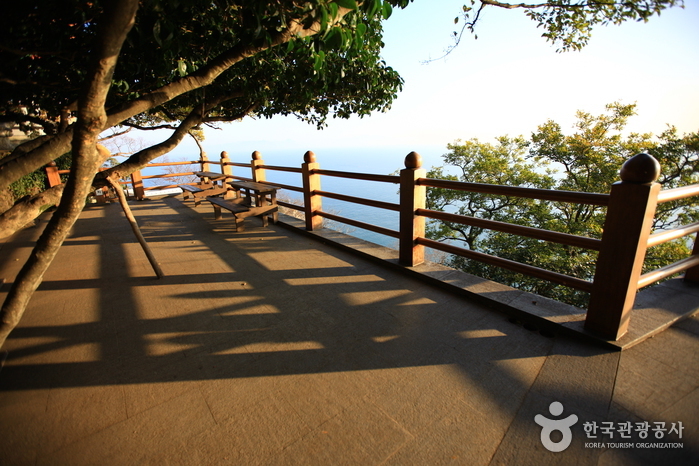 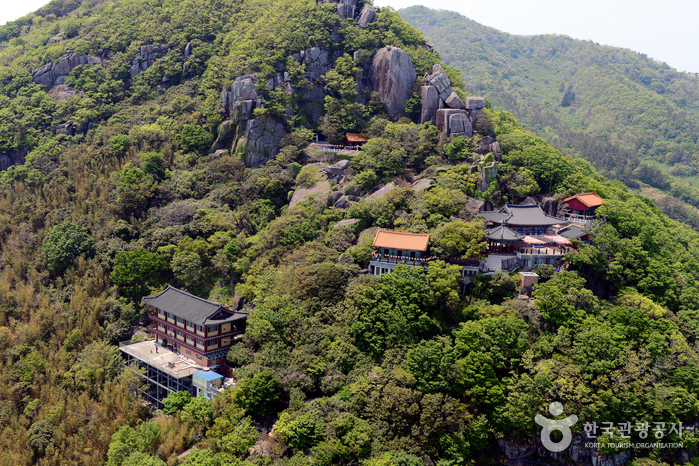 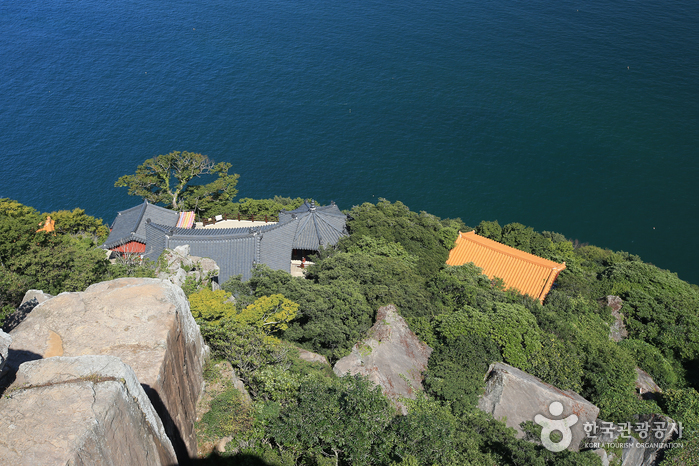 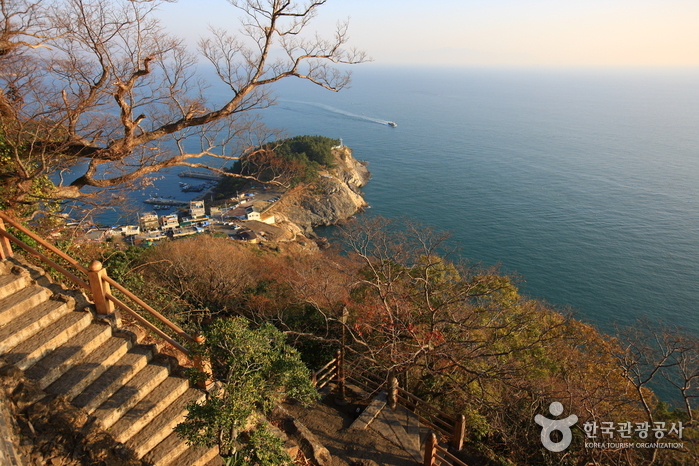 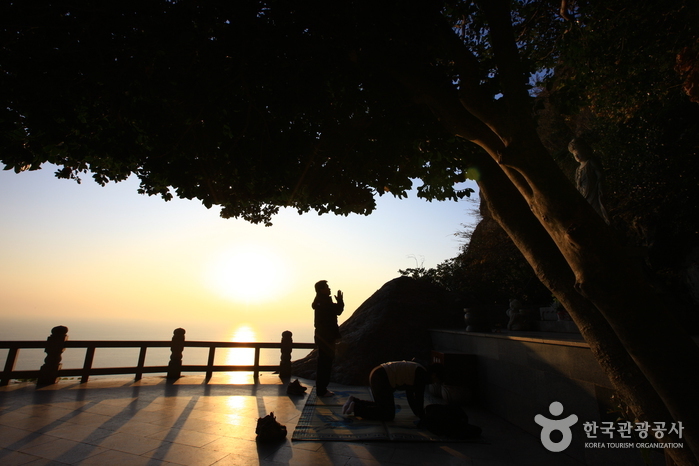 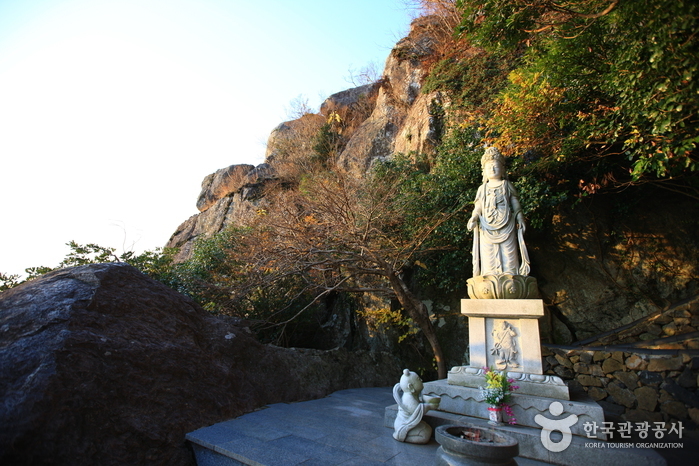 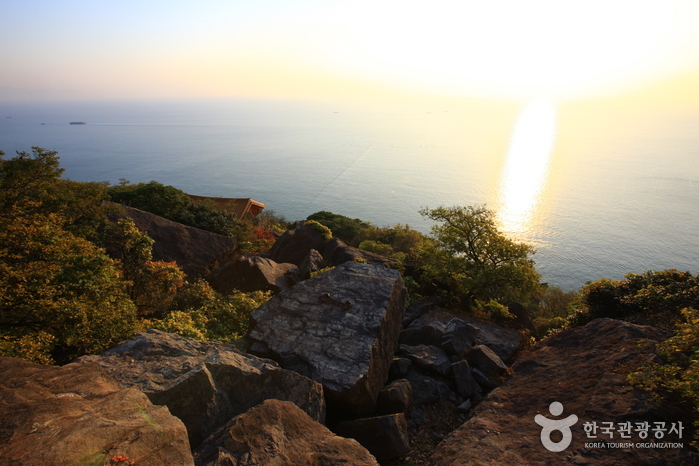 Hyangiram was a base camp for Buddhist monks who helped Admiral Yi Sun-sin fight the war during the Japanese invasion. 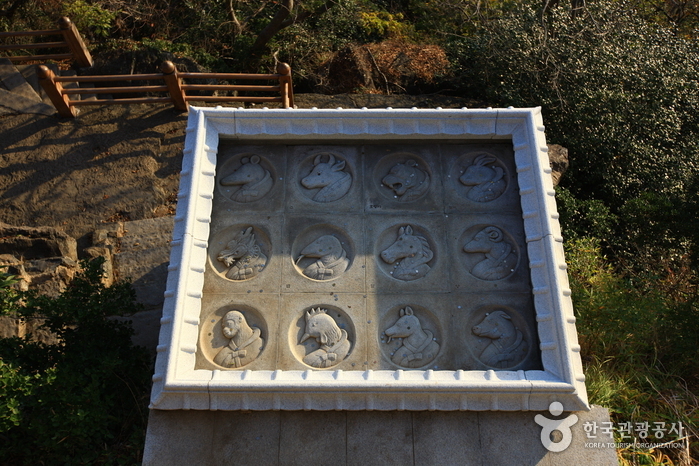 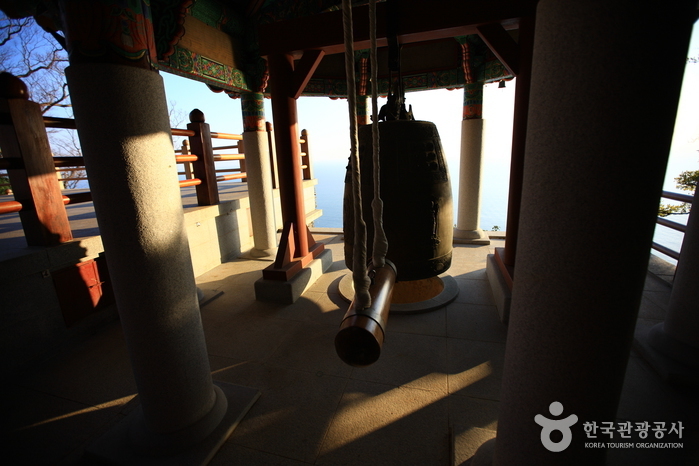 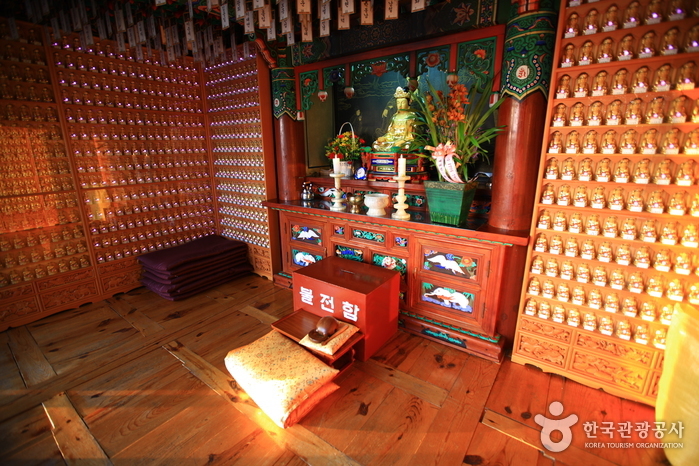 The temple contains Daeungjeon, Gwaneumjeon, Chilseonggak, Dokseodang, and Chwiseongru, all of which are well preserved. 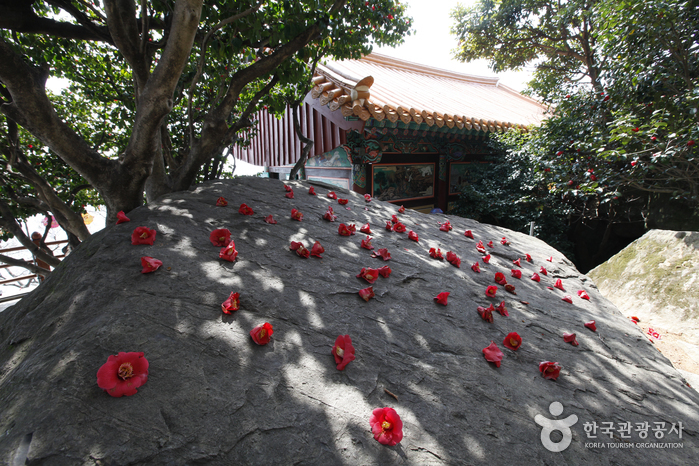 Camellias and subtropical plants surround the Bawibong Peak and Geumosan Mountain. 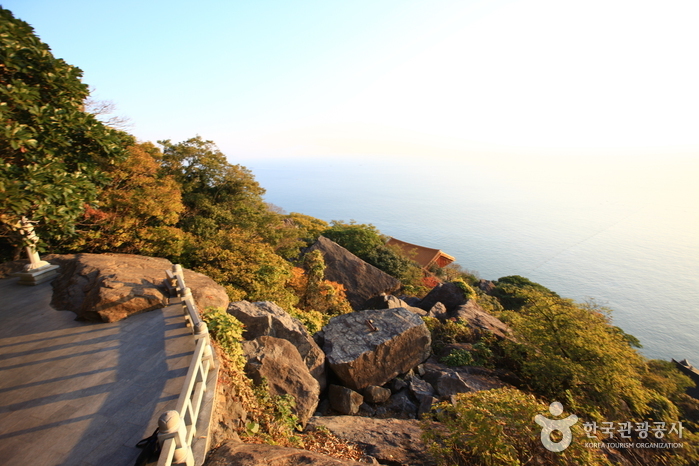 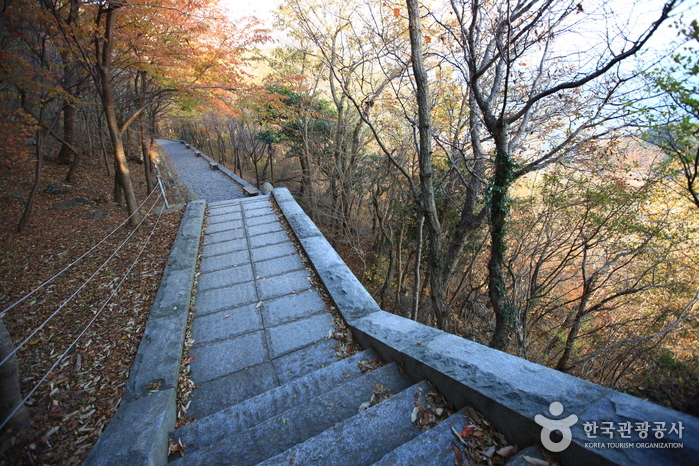 The mountain path to Hyangiram is very steep and it is one of the exciting mountain courses of Korea. 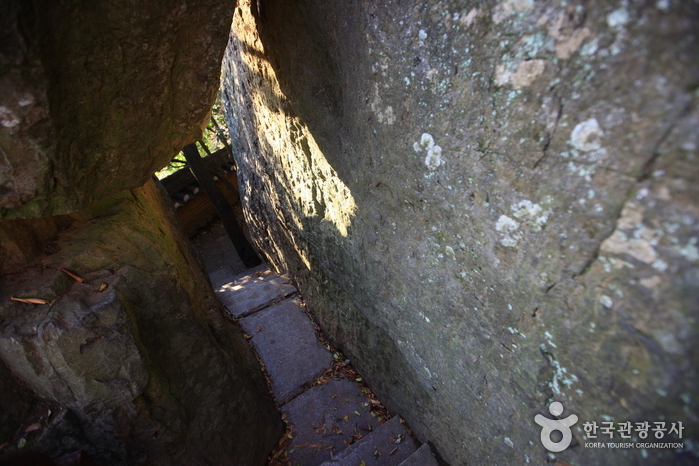 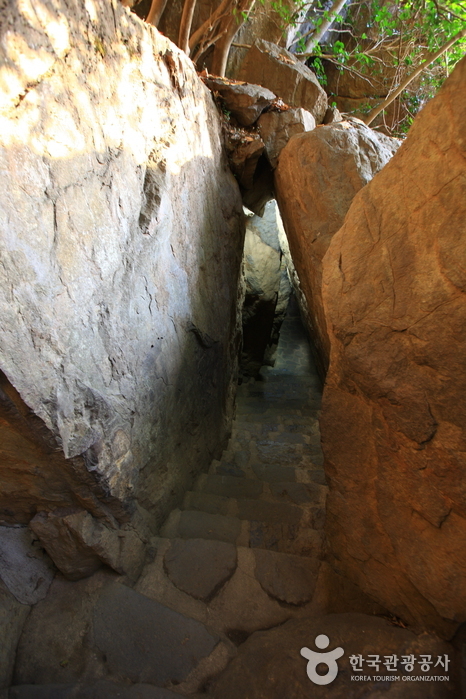 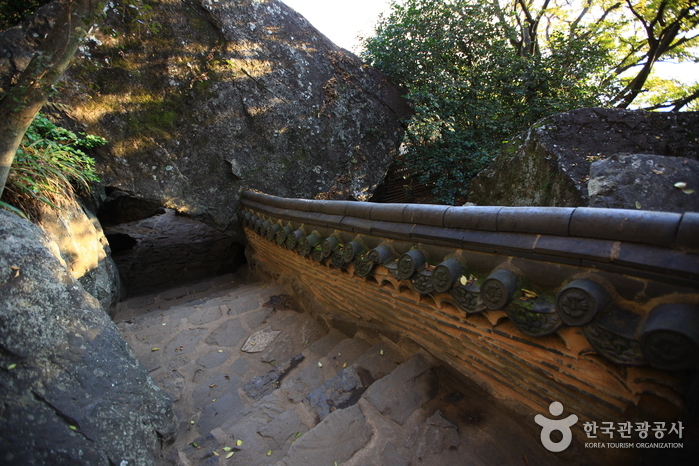 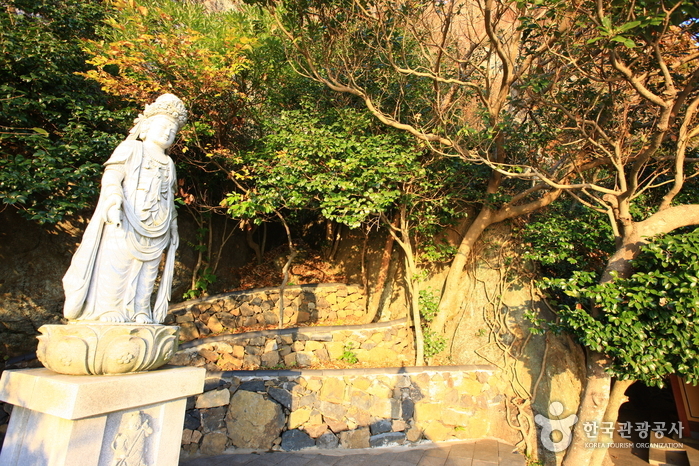 To reach the temple, you will need to climb the rock at the midpoint of the trail and pass the stone gate, situated between two large rocks near the temple. 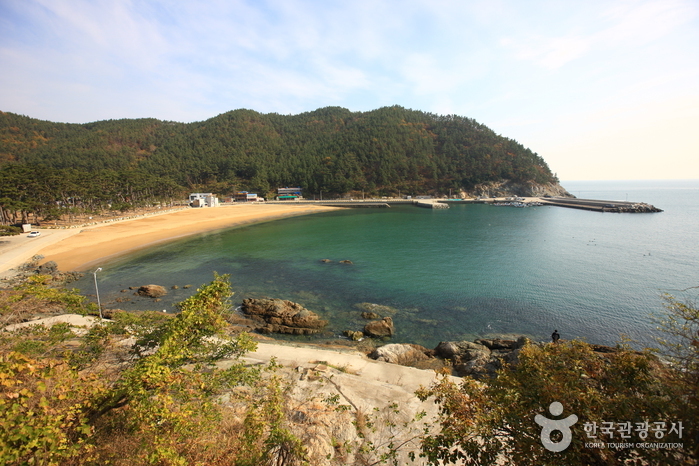 From Yeosu Bus Terminal, cross the road and then take Bus 111 or 113 to the Impo Bus Stop. 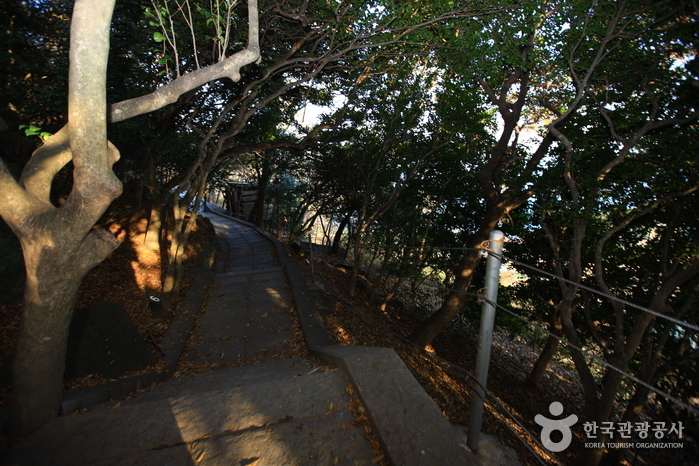 Go 100m with the ocean on the left side. 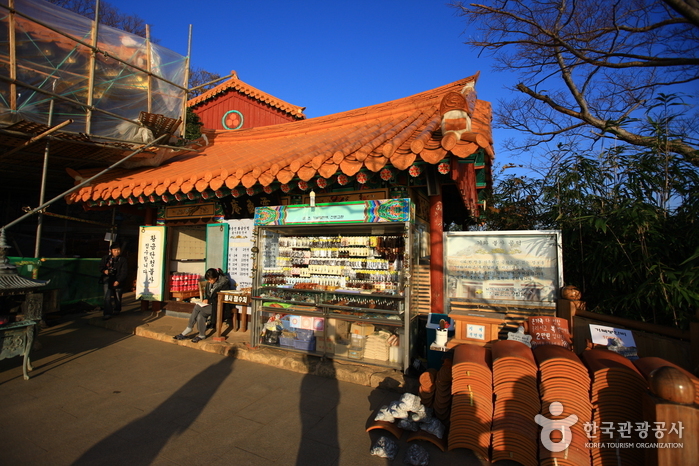 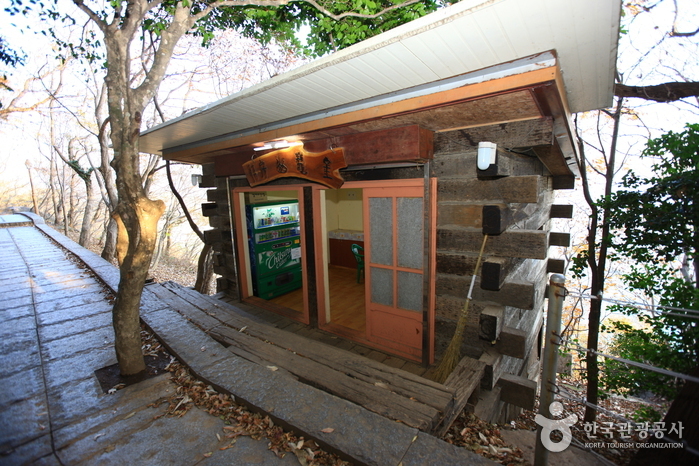 At the GS 25 convenient store, turn right and follow the road upward. 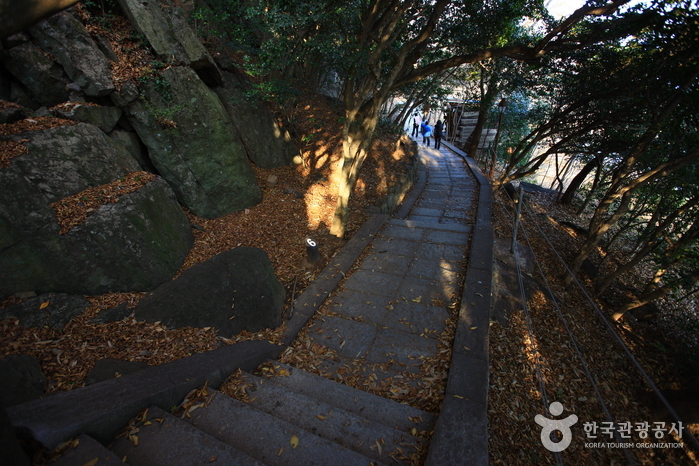 Take a right after 3 blocks. 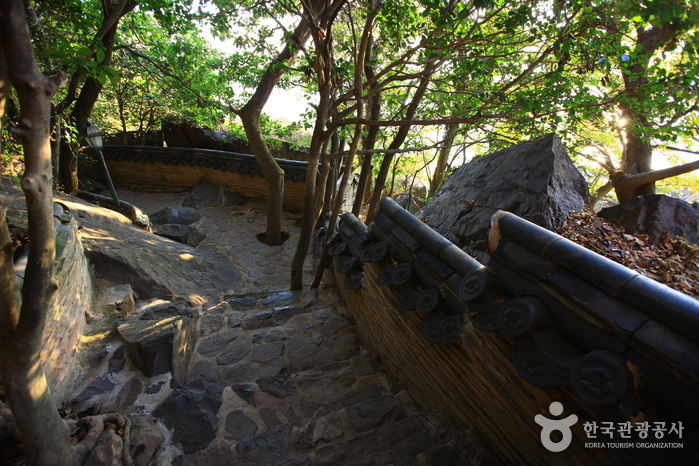 Hyangilam is located 50m ahead on the left.